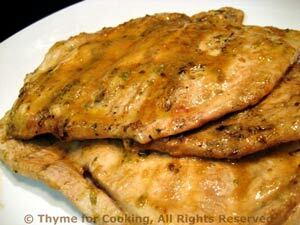 Grilled Turkey Cutlets, with Soy Sauce and Mustard marinade, easy summer cooking. Put turkey in a glass baking dish and pour marinade over. Let marinate for 15 - 20 minutes or up to 2 hours.